Coca-Cola has been accused of using tactics similar to the tobacco industry in minimising the damaging health effects of its fizzy drinks and deceiving customers, The Independent reports. 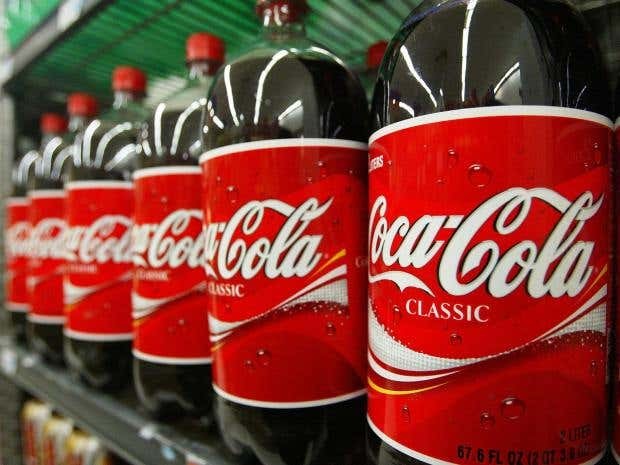 The Center for Science in the Public Interest and the Praxis Project accused Coca-Cola and the American Beverage Association, of misleading customers, including children, regarding the health risks of consuming sugary drinks such as obesity, cardiovascular disease, and type 2 diabetes. The lawsuit could potentially shake the soft drinks industry to its core as the company could face marketing restrictions and soda taxes. Praxis, a non profit group, compared Coca-Cola and ABA's efforts to those of the tobacco industry decades ago. “From the 1950s until the late 1990s, the tobacco industry engaged in an elaborate campaign of disinformation to cast doubt on the science connecting cigarettes to lung cancer and other diseases,” Maia Kats, litigation director for the centre, said in a statement. “Like the tobacco industry, Coca-Cola needs to replenish the ranks of its customers, and it tries to recruit them young,” Praxis said in its complaint, filed Wednesday in federal court in Oakland, California. Praxis accused both defendants of using euphemisms such as "balance" and "calories in, calories out" to mislead consumers, and Coca-Cola, the world's largest beverage company, of trying to mislead the public into thinking a lack of exercise was the real cause of obesity. The American Beverage Association and Coca-Cola acknowledged the lawsuit. He said: “We take our consumers and their health very seriously and have been on a journey to become a more credible and helpful partner in helping consumers manage their sugar consumption." The American Beverage Association called the lawsuit's accusations "unfounded."